1) Visitation schedules and transitions between the two parents’ homes: While some children are flexible and don’t mind switching between homes at regular intervals, many special-needs children don’t have the physical, mental or emotional ability to cope with so much change. Children who suffer from separation anxiety, have behavioral or sensory issues, or are autistic, usually do better with the same daily routine. Any disruption can affect behavior and increase stress and anxiety. Parents who use mediation have the opportunity to consider alternative solutions to typical visitation schedules. For example, the non-custodial parent could focus on time after school, or during the day on weekends, and additional days during school breaks. While that parent gets to spend a lot of quality time with the child, disruption to the daily routine is very limited. 2) Parent availability to care for the special-needs child: While it is understandable that both parents want to spend a substantial amount of time with their child, they need to put their own feelings aside and focus on the needs of their child. Stability and consistency are essential with a special-needs child. If the parent who has been the primary caretaker all along is capable of continuing to provide care for the child, it is advisable to encourage and support that parent. Special-needs children have more sick days and school absences than their classmates, so it is important to consider a parent’s availability and who will take care of the child on these days. 3) Educational needs: Parents need to agree on what educational opportunities will best serve the unique needs of their child, including choosing a school district that will be able to address those needs at no or minimal cost. In order to maintain routine and educational support, the parent who has been providing school and homework help in the past should be able to continue to do so. 4) Health and medical needs: Sometimes, parents don’t agree on the best way to treat their child’s special needs. For example, a parent may favor the use of medication, while the other relies on behavior modification therapy. In case of disagreement, a mediator might suggest asking for neutral advice coming from the child’s counselor, physician, physical therapist, and/or special-needs teacher. These individuals have been working with the child all along and they know of the child’s specific issues. Therefore they can provide useful feedback and help parents make the adjustments as smooth as possible. For children with severe medical conditions, critical decisions regarding their medical care and treatment have to be made on a regular basis, sometimes with little or no notice. Parents need to agree on how much decision-making they want to be involved in, in order not to delay critical care. 5) Social and recreational opportunities: Just as when they lived together, divorced parents must work together to find social and recreational activities at school and in the community that are appropriate for their special-needs child. Parental involvement is crucial since these activities are sometimes hard to locate but they help to promote inclusion, as well as help the special-needs child develop independent skills. Going through a divorce involving a special-needs child involves extra communication, patience, effort and compromise. Children with disabilities will greatly benefit from flexible visitation schedules, daily routine, appropriate medical care and consistency, and extra-curricular activities. 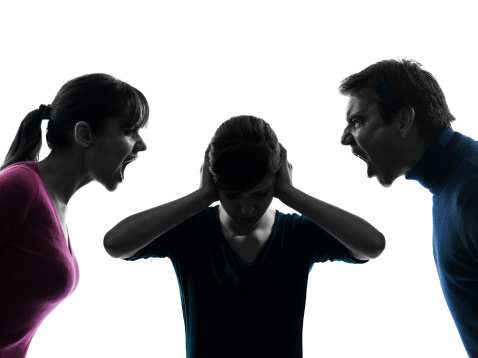 Mediation can be very helpful in minimizing conflict in this difficult situation and reduce stress.